Another week, another excerpt. I’m thinking of writing a post exclusively for ayamstuffed on my next visit but as you guys know. eating out costs money and it’s cheaper for me to link to my reviews on Hayati Magazine than to have several posts for both ayamstuffed and Hayati. (Chubbydija: It’s also better for her body). So please bear with me guys. And thanks a lot for the support! Here’s an excerpt on my visit to the Night Noodles Market for Good Food Month 2016! 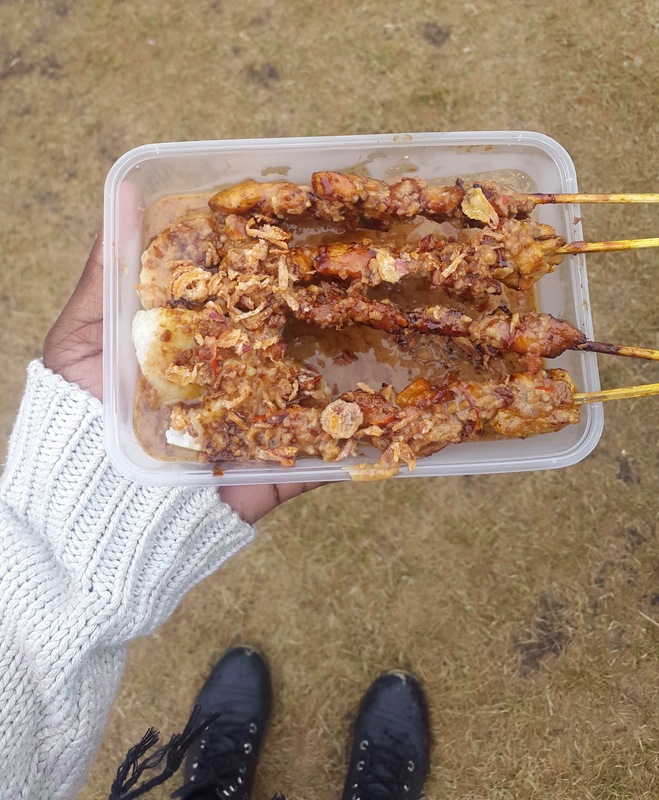 Anyway, I had the halal satay (which is like our Nigerian suya) from the Indonesian satay truck; the twisted potato on a stick with salt and vinegar seasoning from the Korean Twist Potato stall, something I’ve always wanted to try by the way; and the ‘Only on Sundaes’ ice-cream or should I say gelato, from Gelato Messina (Well, technically it was a sorbet which is neither gelato or ice-cream but you get the point). I’d wanted to visit Gelato Messina so it was nice to see their stall at the noodle market. Want to see the pictures of the other foods? Click here! ← Lunch at Science-themed Dosage Cafe, Burwood.